it is important that you declare your products correctly. Please note that Easyship does not provide a solution for shipping stand-alone batteries, power banks or batteries which are not shipped inside a product. When shipping items that include batteries, there are several restrictions that need to be followed. Failure to do so may cause delays, additional charges and/or penalties. 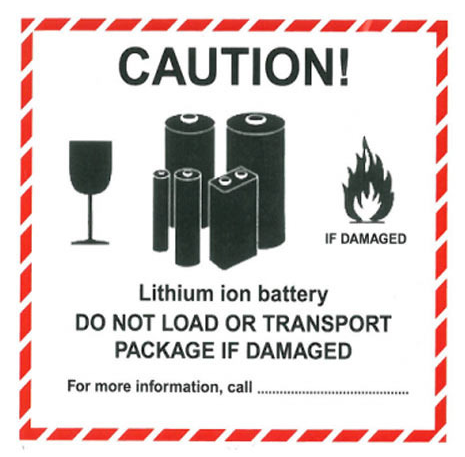 Every product that contains any type of battery will need a Material Safety Data Sheet (MSDS) to be included with the shipment. Easyship cannot provide you with an MSDS, you need to speak to the manufacturer or visit the manufacturer's website to find the correct one. When you declare an item to include a battery, Easyship will provide you with additional documents that need to go on the outside of your shipment and be clearly visible. Note that these need to be printed in color.